A Scout Troop is a learning laboratory for leadership, where boys are given the opportunity to apply skills of planning and communication in positions of increasing responsibility. 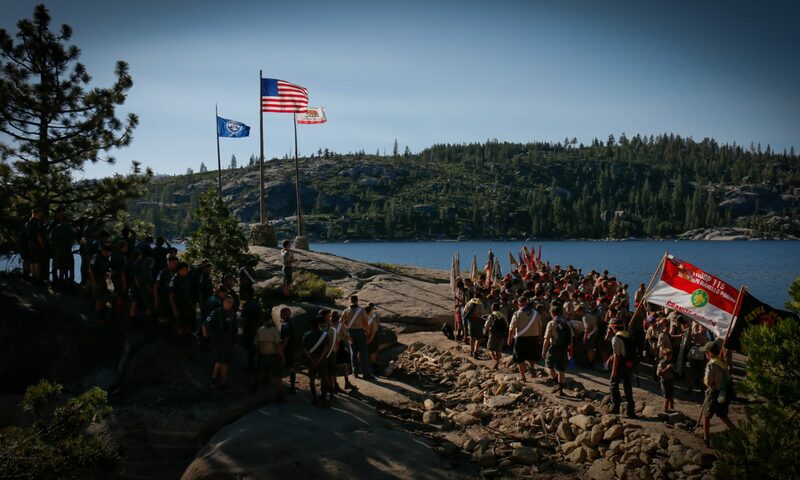 Two key positions are Patrol Leader and Senior Patrol Leader, who with guidance from the Scoutmaster plan the troop meetings and annual program during the monthly Patrol Leaders Council. They then ensure that the planned meetings and events are executed to the best of their ability, with the greatest amount of fun, education, adventure, and safety. The primary leadership roles are supported by Assistants, Scribe, Quartermaster, Bugler, Chaplain…all who have specific tasks contributing to the success of the unit. When their term of office expires and responsibility passes to another Scout, they learn how to be good followers while mentoring and coaching the new leaders. So what are adult leaders and parents responsible for? They provide policy and safety oversight, program supervision and guidance, mentoring and coaching for success. In a well-run troop, adults operate in the background, ensuring the program is executed effectively through the Patrol Leaders Council with “behind-the-scenes” support. While this can be a challenge for involved parents, boys often learn best through failure and the example set by older Scouts. It doesn’t take too many burned or cold meals for Scouts to improve on their cooking skills! Give your Scout the chance to learn and grow, developing into the kind of leader and citizen our society relies on for success. Next PostNext What Makes A Trained Leader?